An air knife is used to blow off a curved or flat surface of unwanted liquid (such as water), grime, airborne debris, dirt, or dust from surfaces or objects using a high-intensity, uniform sheet of amplified airflow. While a flat jet nozzle (flat nozzle, flat jet) is a compressed air operated chamber, which is of shorter length than an air knife and has a higher air force and flow design. An air knife is positive pressurized air chamber that contains a series of holes or continuous slot through which a predetermined air volume and velocity exits. 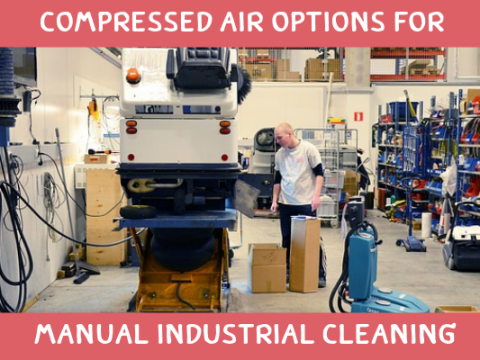 The air is blasted through the air chamber using an air compressor or industrial blower. The product is typically made from either aluminum or stainless steel of various lengths but can be made of other materials as well. 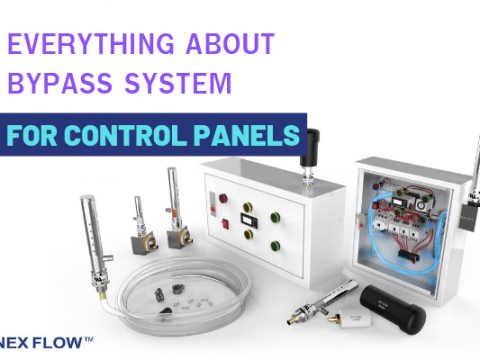 It is used to create an air curtain to clean, dry, or cool a surface of a product without mechanical contact. Blower operated systems are advertised as being more energy efficient but that is not always the case. 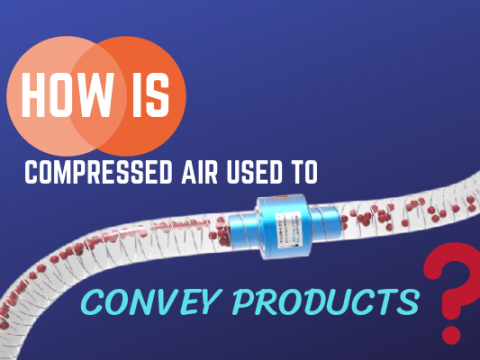 In intermittent blowing and lower pressure applications, the compressed air system can be as energy efficient as blower operated systems. 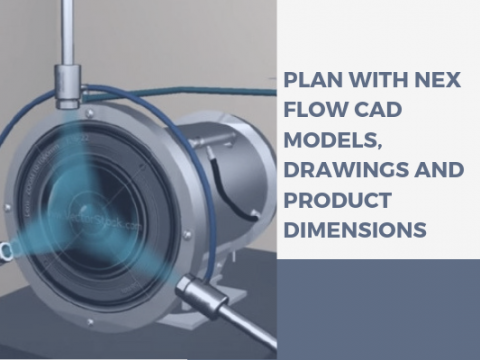 Therefore – they are smaller, more compact in design, easier to control, rugged, quieter, and do not have the costly maintenance compared to blowers operated units. 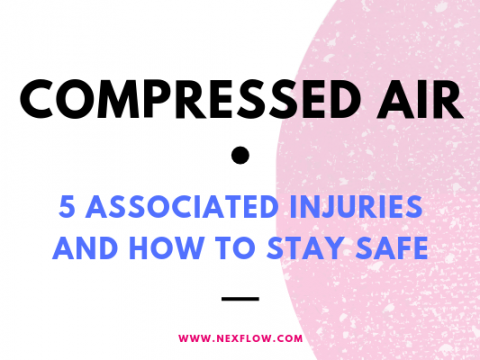 This makes compressed air operated systems the smarter choice especially when space is a premium. 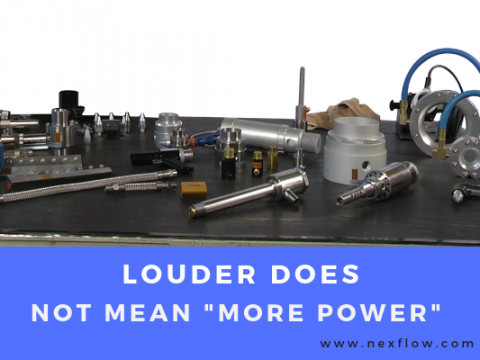 The compressed air system provides significantly more force than a typical blower. 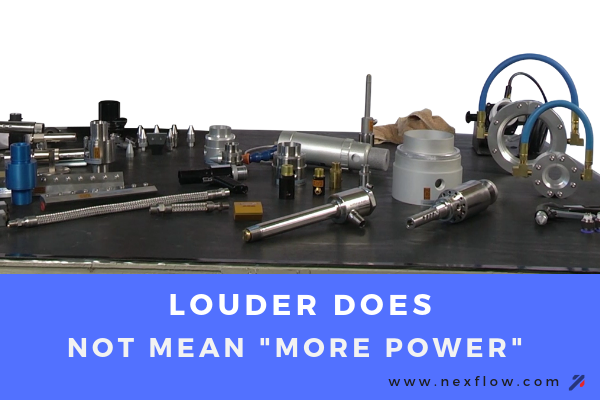 Often blower operated counterparts are supplemented by compressed air or other compressed air blow off because the blower system cannot accomplish the necessary drying, cleaning, or cooling necessary for industrial application. NOTE: Electrical currents from anti-static bars can also be injected into the air stream to neutralize static electricity charges on some surfaces. They are a good cooling tool; thus they are used to control the thickness of liquids; such as water or can be used as a hold-down force to help in the mechanical bonding of materials to a surface. They are used in food, pharmaceutical, packaging, automotive, mining, heavy industries (steel and aluminum), printing, and circuit board manufacturing. They are also used in the first step of recycling to separate lighter particles from other components. The product is also used in post manufacturing of parts for drying, conveyor component cleaning, and to draw in waste fumes or exhaust. They can create an invisible air barrier to separate heated or cooled environments from one another in industrial applications. 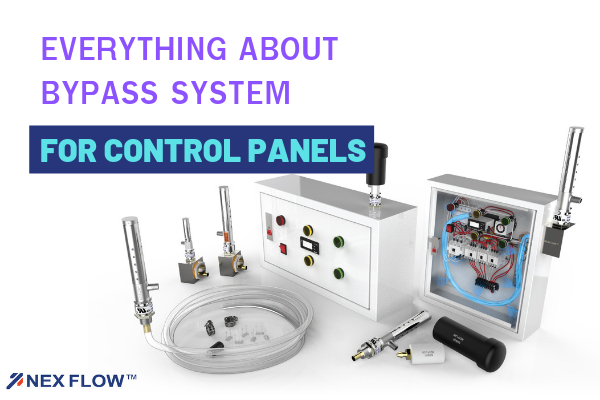 For example, they are used with continuous metal heat treating ovens, cold process, storage areas in food processing, or dust containment for the entrance to clean rooms. 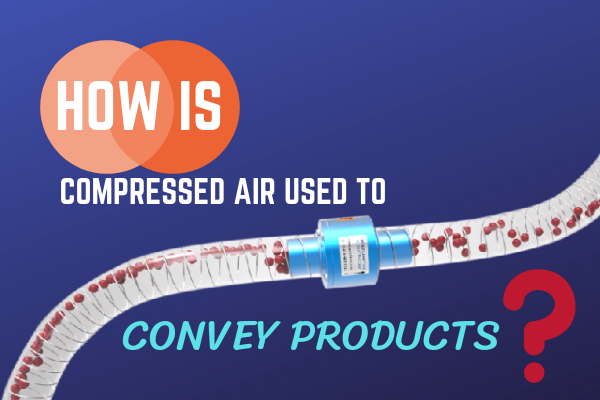 In most cases, the air knives are stationary while the products to be cleaned or cooled are traveling on conveyors. 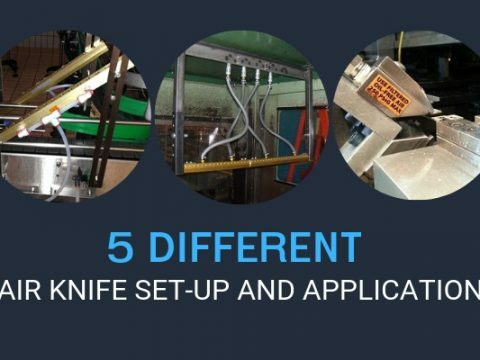 In other manufacturing applications, the knife moves or rotates over the surface of the stationary product. Some rare circumstances, it can also be used for cutting (i.e. cutting into cake frosting during food production). Flat Jet Nozzle is used when a much stronger forced air is required than an air knife can provide. The flat jet nozzle can be mounted on manifolds of different lengths (holding 2, 4, or 6 units typically and more). The longer the knife, the less force of air is available. This is resolved by adding shims but there is a limit to the number of shims able to be added to the products (you can add up to four shims in one air knife). Due to the difference in chamber design, there is a greater range of shims that can be added to flat jet nozzles to produce much higher air force. 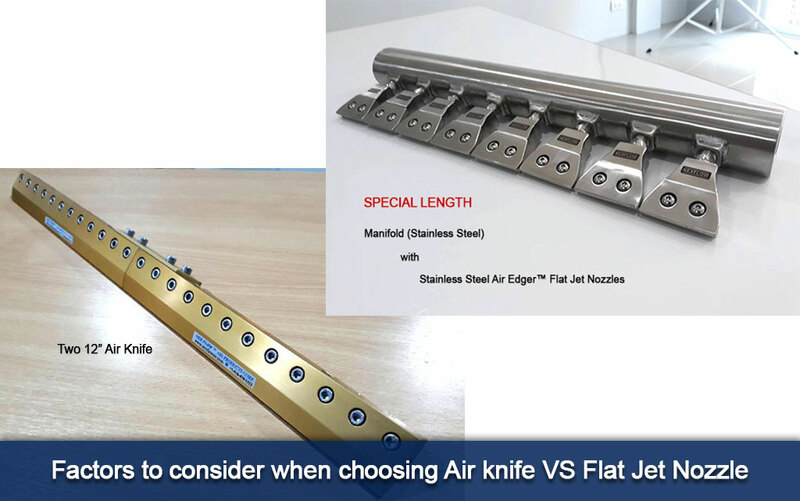 What factors should I consider when choosing between an air knife or a flat jet nozzle? By design – the longer the air knife is, the lower the force per inch. 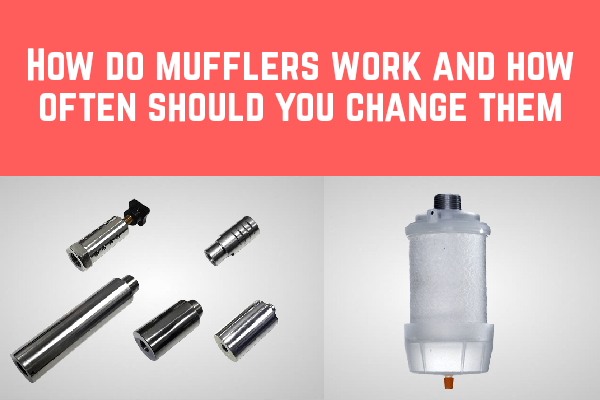 This is because of the limited size and volume of the chamber and due to the limited number of air inlet holes. By default, however, the flat jet nozzle has twice the power. You can also stack a greater number of shims on the flat jet nozzle, which can increase the force up to three times that of an air knife, which allows more power and compressed air from the flat nozzle. 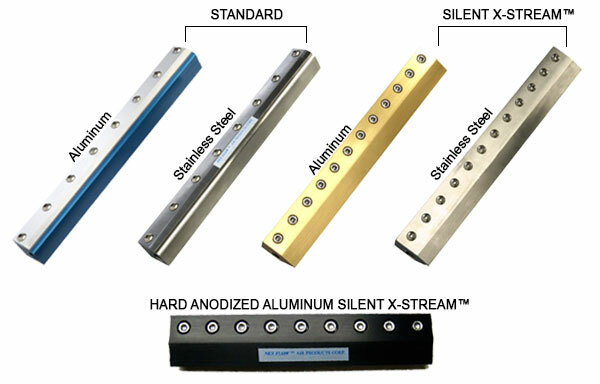 Nex Flow compressed air operated air knives are available in gold-color anodized aluminum, hard anodized aluminum, 304 and 316L stainless steel. By request, the product can be made from High-density polyethylene (HDPE) and other special materials such as Polyvinylidene fluoride or polyvinylidene difluoride (PVDF). – Hard anodized aluminum is best for most applications where abrasive materials come in contact and wears against the air knife. 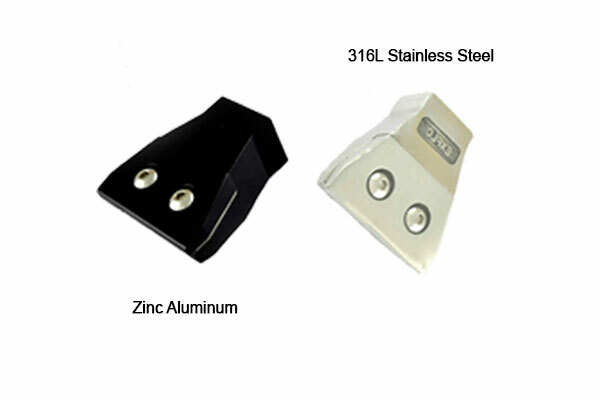 – 304 Stainless steel is useful in high temperature and corrosive environments. – 316L is best for food and pharmaceutical applications. 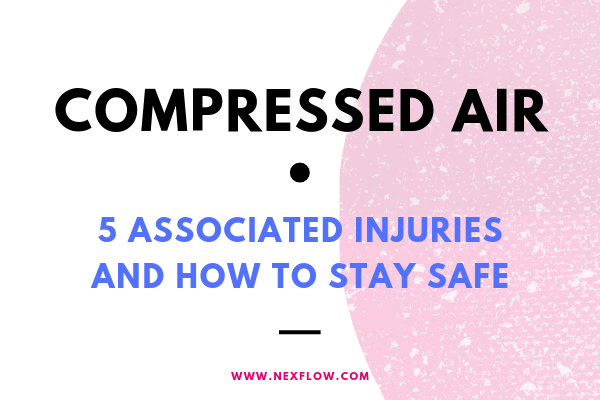 – HDPE and other special materials are used in environments where aluminum or stainless steel are not suitable. Flat jet nozzles are available in powder coated cast zinc or 316L stainless steel. Zinc is a heavy element, and when alloyed with other metals, it provides better corrosion resistance, stability, dimensional strength and impact strength. It is the third most used non ferrous metal after aluminum and copper. – Flat jet nozzles in powder coated cast zinc are used in most manufacturing applications. – Stainless steel is an ideal corrosion-resistant material, but it will only withstand long-term exposure if the grade is appropriate for its environment. – 304 is an economical and practical choice for most environments, but it does not have the chloride resistance of 316. – 316 is more expensive but worth the cost when the manufacturing environment has high chloride and salt exposure. 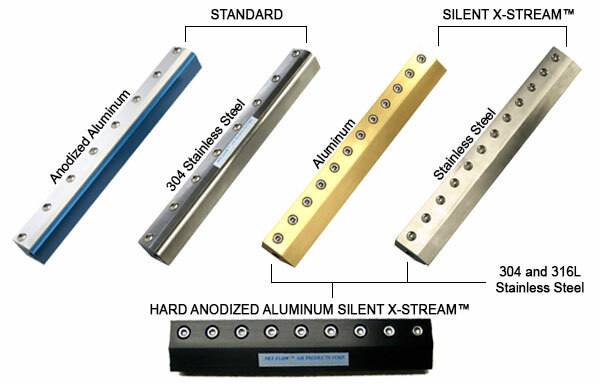 Stainless steel is the recommended material for shims and is used as a standard for all blow off products by Nex Flow since plastics shims will wear out quickly when using compressed air. Flat jet nozzles mounted on manifolds is a more flexible option since you can also use the manifolds to mount various air nozzles. They are available in 2” lengths (51 mm) and a 1” length will be available soon. Multiple flat jet nozzles will cost more to use and install than one or a couple of air knives placed end-to-end. Air knives are generally quieter than flat jet nozzles but could vary depending on the number of shims added. Despite having multiple shims to make the gap larger – a “good” air knife will still have lower noise levels. Air knives have a lower compressed air consumption than drilled pipe or rows of open jets and nozzles. Depending on the set gap used in the air knives, overall air consumption will be anywhere between 10% – 90% less. This is something that can easily be calculated or you can also ask us to help! Flat Jet nozzles, or any engineered compressed air nozzles, are designed to drastically reduce compressed air consumption. The flat jet nozzle consumes more air. 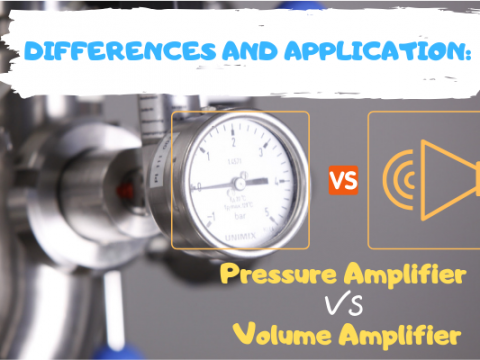 They are used for large blow-offs, cooling, and parts ejection jobs, without wasting compressed air and noise in the manufacturing environment. It is also ideal for hand-held use and to mount on manifolds above conveyors in manufacturing plants. 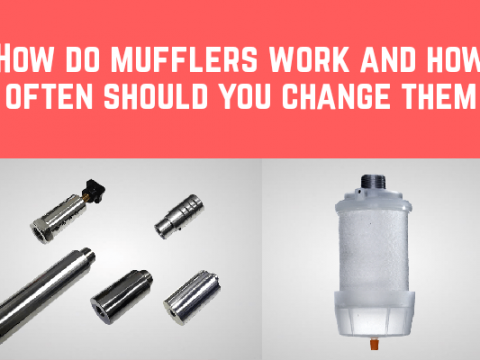 Air knives or flat jet nozzles used with compressed air will have a longer life in difficult environments than blower operated models. They have instant on-off, no electricity or explosion hazard. Many companies that produce both products offer no anodizing on their aluminum models nor powder coating on their flat jet nozzles. Nex Flow air knives and flat jets have a longer life and does not wear down as fast as most competitive units. Air knives are maintenance free with easily controlled compressed air output and is safe to use. However, if it is damaged, the cost of replacing the product is more than replacing multiple jet nozzles. 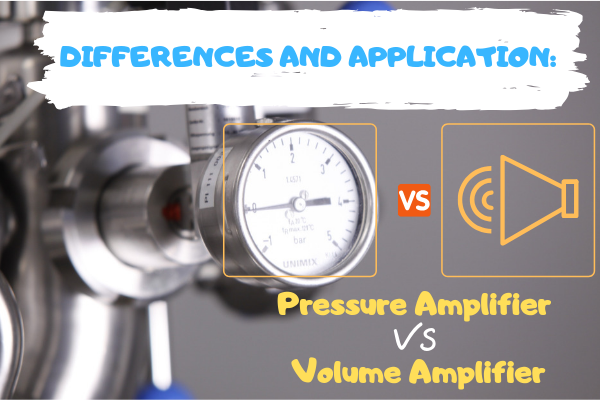 Weighing the importance of these factors in any given manufacturing application will lead to the optimum combination of high blowing force, low energy consumption and low noise levels for the health and safety of your working environment.